For the last 20 years, Turkey has been investing heavily in the Tigray region of Ethiopia. This rapid expansion is following the grand ambition of Erdogan to make Turkey great again. To make his dreams come to reality, Erdogan government is investing heavily in Somalia and other parts of Africa. Today, many centers are established by Turkish businessmen and institutions in Somalia. 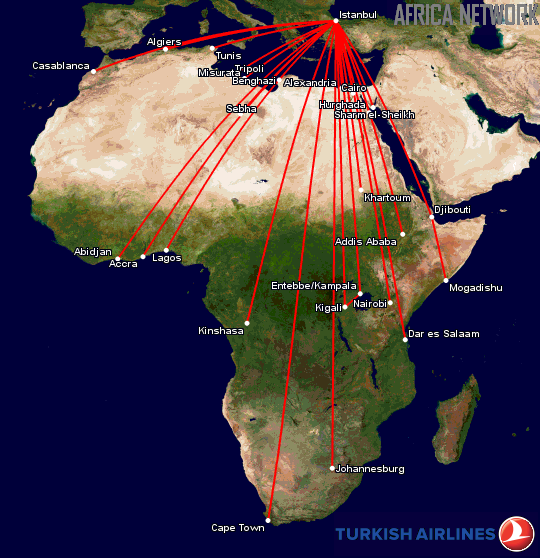 Turkish expansion has also took footsteps in Ethiopia, especially in Tigray Region. Textile industries are expanding and other large industrial complex centers are under plan for construction. With the curent pace, the Ottomanization of Tigray Region of Ethiopia is coming soon. Hundreds of hectares of land are now occupied by industrial complex and production is booming. With the opening of Eritrea-Ethiopian relationship, Eritrea will be beneficiary of the merchadies trasportation through the Red Sea ports, especially Massawa. This new era is another chapter of the lost trade relationship controlled by Turkish deputies (Na’ibs) in Massawa which stayed for more than 300 years(1557 – 1869). Although Eritrea remained a closed state for the last 27 years, Ethiopia became the center of attraction for investors. And this can expand to Eritrea of friendly economic policies are outlined. It is hard to evaluate Turkish invesent impact in Eritrea at this moment. However, it is good to look historical contexts that need to be considered seriously for any future business activities. Ottoman Empire is known for its vast Slave Trade aactivity in the Horn of Africa. Massawa was its empire provice city center in the horn of Africa. Hundreds of thousands of slaves were taken through the Port of Massawa to serve in many sectors run by the Ottoman Sultanates. These slaves were making them unable to reproduce and continue their generation. Because of these, East African Slave generations are extnicted with almost no trace. This inhumane act of Ottoman Empire in the horn of Africa is not yet told. Therefore, any trade agreement with Turkish government should be thoroughly investigated with full transparency. Doing business supported by heavy government funds can be a means to colonization. The recent development in Zambia through Chinese expansion is an alarm for many Africans. And, Turkey has a grand ambition of re-inventing its past glory by creating strong economic ties with former Ottoman empire provinces. Previous Is the Eritrean Orthodox Church heading to the footsteps of Biblical Babylon?